I recently returned from the Middle East, and I feel compelled to share. My trip to Israel and the West Bank was inspiring and eye-opening. I did over 20 events in Israel on behalf of the U.S. Embassy and 7 events for Palestinians Authority in the West Bank on behalf of the U.S. ‎Consulate General. All told, I worked in over a dozen cities, addressed audiences of thousands and hugged hundreds. I will never forget the faces, nor the stories they shared. Teachers as Heroes? by George Bishop, Jr. 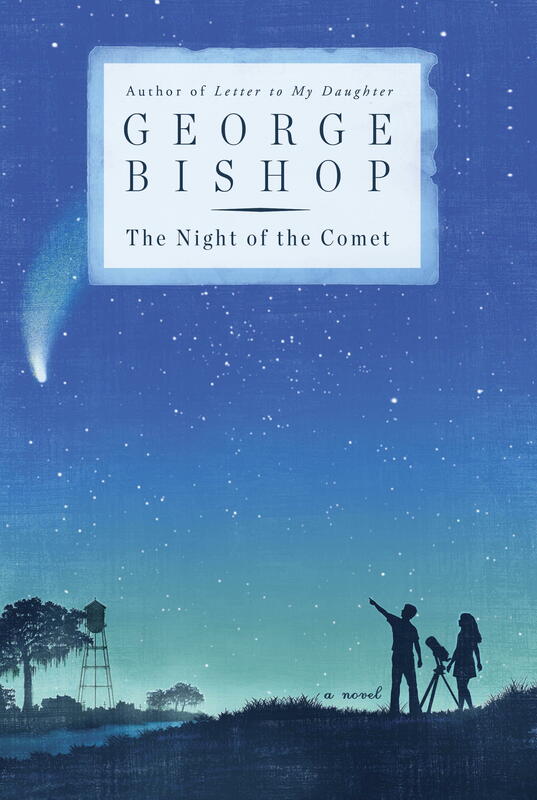 In my new novel The Night of the Comet, the protagonist is a high school science teacher in a small Louisiana town, circa 1973. Frustrated in his work, belittled by his family, mocked by his students, he hitches his aspirations to what he believes will be the astronomical event of the century: the coming of Comet Kohoutek. For my portrayal of Alan Broussard, the teacher, I drew on my own experience in the classroom. I’ve taught English for most of the last two decades—enough time, certainly, to give me a sense of the rigors and rewards of teaching, and also to raise my esteem of those who have been doing it even longer, and in more difficult circumstances, than I have. After the last bell, the middle and high school students in my small town gather on the sunny patio in front of the local Starbucks. They hang out in lose clusters talking, snacking and, of course, text messaging. A few feet away, I sit in my silver car and wait for my pre-teen son to finish his socializing, the conversations I overhear cause the corners of my mouth turn upward as I imagine their words, exchanges, exclamations finding their way into poems. As a writing coach to kids and kids-at-heart, this scene—and others like them—serve as inspiration for the many experimental writing prompts I create to get people inspired to pick up a pen. What does Tony Danza know about education?! As an actor, Tony Danza had conquered nearly every entertainment realm—TV, the movies, even Broadway—when one day three years ago, he felt a powerful urge to chase a childhood dream and become a teacher. He’d been inspired by a documentary made by Teach for America, the organization that trains college graduates to teach in rural and urban public schools, and he wanted to give something back. After dazzling viewers of such hit TV shows as Taxi and Who’s the Boss? and delighting Broadway audiences, he figured that, even with his lack of teaching experience, he still stood a good chance of keeping a classroom of high school kids engaged. How hard could it be? As he found out, really hard. Entering Philadelphia’s Northeast High School’s crowded halls in September 2009, Tony found his way to a tenth-grade classroom filled with twenty-six students who were determined not to cut him any slack. In his new book, I’d Like to Apologize to Every Teacher I Ever Had: My Year as a Rookie Teacher at Northeast High,Tony shares experiences that ranged from the infuriating to the deeply rewarding as he relives the amazing story of what happened. In his tenure at Northeast High Tony did it all, teaching Shakespeare, working detention, assisting the music and drama departments, coaching football, and helping a special group of young people through some of the most daunting personal and emotional issues. We invite you to watch Tony’s message to educators on his site, TonyDanza.com, where you can also find more information about the book and his upcoming events. Click here to read a conversation with Tony Danza and Erin Gruwell, author of The Freedom Writers Diary. Last year I retired from a profession that was probably the most challenging, the most frustrating, and in many ways the most rewarding profession that I’ve ever held. When I rolled my wheelchair out of my high school English classroom for the last time, I had to take a moment to recognize and honor all that I had gained from the experience. My reasons for choosing not to return to the classroom are complex and varied, but one thing is without doubt: to watch a student read, process, and discuss a work of literature is a thing of beauty.